The Time In Between tells of Nancy Tucker's personal experiences with eating disorders she suffered with from the ages of 11. While it feels wrong to say I enjoyed this book, as doesn't seem right to enjoy reading about such a serious topic, I couldn't put it down and found it incredibly interesting, which seems to be the equivalent. I absolutely loved Nancy's writing style and will definitely be keeping an eye open for any more books she publishes in the future as I'm sure this is just the start of her writing career. I also found that the way she dealt with these difficult issues made it easier for me to empathise with what she went through, despite having no experience of it. The way she consistently personifies eating disorders really gives the reader an insight into how over-whelming and constant the destructive thoughts were in an incredibly unique way. While I'm not exactly well read when it comes to literature focused around eating disorders, this book was completely unlike anything I've read before. It successfully explained the full journey she went through, while also emphasising the point that it's not as clear as 'this is where it began, this is where it ended'. I honestly think this book is incredibly important and while it will not be for everyone due to it's handling of a sensitive issue, if you're interested in it I urge you to read it. I also think it would be good for friends or family members of people going through the things Nancy went through, as it puts into words things that appear to be beyond the explanation words can give. 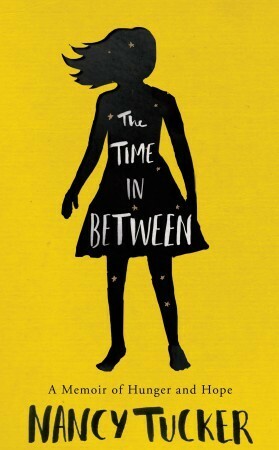 Have you read The Time In Between? What did you think of it? *I received a copy of this book for review from the publisher via netgalley.